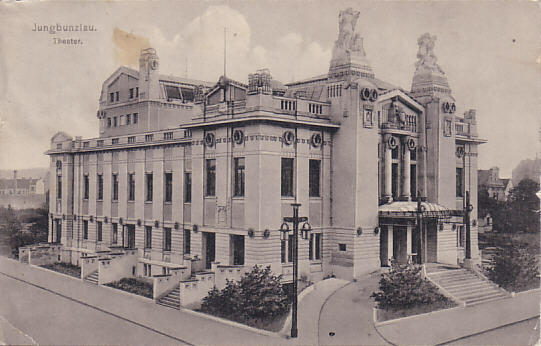 Built 1906-1909 as "Mestské divadlo/Stadttheater" (municipal theatre) for the city of Mladá Boleslav/Jungbunzlau by Ferdinand Fellner & Hermann Helmer. Façade plans changed by Rudolf Krizenecký and Emil Králik (in Czech Secession style). 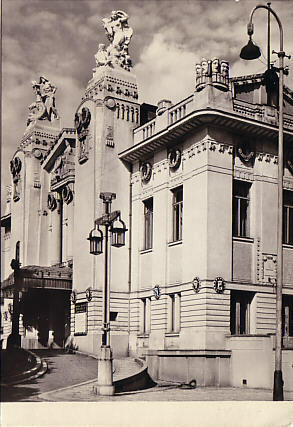 Opened 21 November 1909 with Alois Jirásek's "Lucerna". 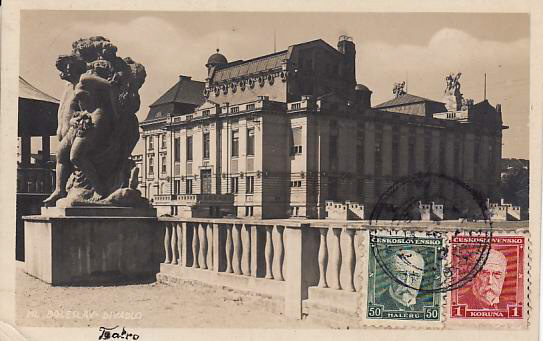 1966 renamed "Divadlo Jaroslava Prucha" in honour of the Czech actor, Jaroslav Prucha (1898-1963). 1976 closed because of dilapidation. 1982-1985 major exterior and interior renovation by Fr. Rezác. 1994 renamed "Mestské divadlo". 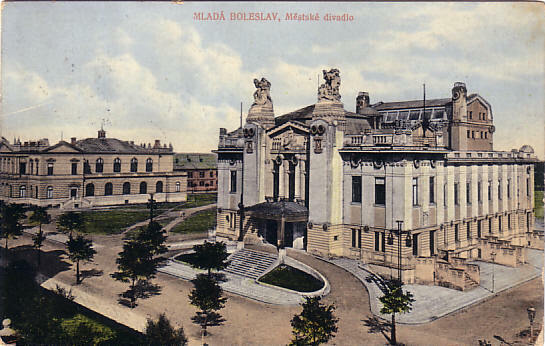 Front Text: "Jungbunzlau - Theater"
Front Text: "Mladá Boleslav - Mestské divadlo"
Front Text: "Mladá Boleslav - Palackého trida"
Sent: from Mladá Boleslav to Planici (? ), 191? Front Text: "Ml. 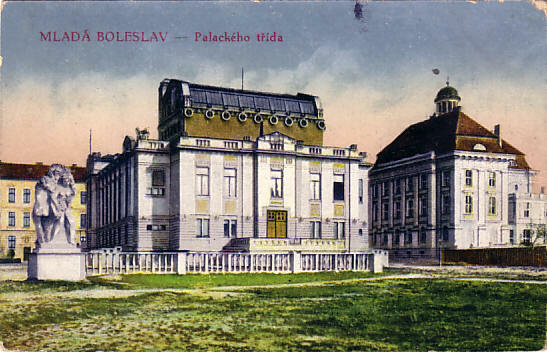 Boleslav - Divadlo"